If your business is located anywhere in Los Angeles California, Precision Installation can assist you with all your office furniture needs: from furniture, carpeting, and cubicle installation, to storage and warehousing. And when your business needs room to grow, we can assist you in full office relocation. How can your business benefit from working with Precision Installation? We have partnered with hundreds of high quality furniture vendors such as Allsteel, Gunlocke, Haworth, Herman Miller, Teknion, Steelcase, Knoll, Bernhardt, Kimball and many other reputable office furniture manufacturers. Our goal is to provide each company a smooth and easy working experience so that there is little to no workflow interruption for you and your busy employees. We make sure that our technicians are professionally trained and certified to complete any number of office installation projects quickly and efficiently. No project is too big or too complicated. 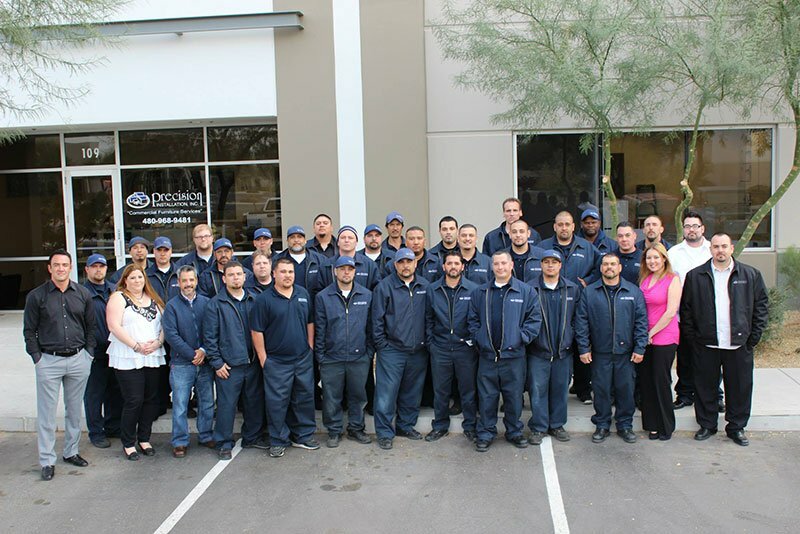 Our employees will show up uniformly dressed and will be highly respectful of your work environment. Precision Installation is committed to creating a comprehensive installation plan that meets your needs!